The various species belonging to this family are evolute and of serpenticone form. Their ornamentation consists of simple ribbing. The origin of Polymorphitidae is probably in Eoderoceratidae. Vertical distribution: Sinemurian - lower Pliensbachian. 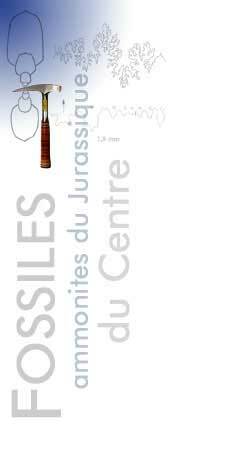 The material found in the lower Pliensbachian deposits of the department Cher belongs to two subfamilies : Acanthopleuroceratinae ARKELL, 1950 and Polymorphitinae HAUG, 1887. 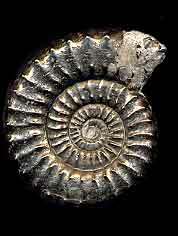 This genus contains ammonites with heavy oval or subquadrangular section.The evolute shell is often ornated with simple ribs and a double line of tubercles. 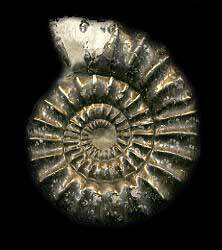 The evolute ammonites of the genus Uptonia have high and compressed whorls. Simple and dense ribs, cover regularly their shell and form a chevron on the venter. In the inner whorls, small tubercles are visible. 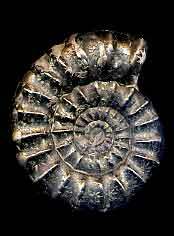 Forms of significant size, evolute in the inner whorls, becoming more involute with the age. The weak and flexuous ribbing becomes coarser on the last whorls. It is often accompanied by a fine secondary ribbing on the ventral area.